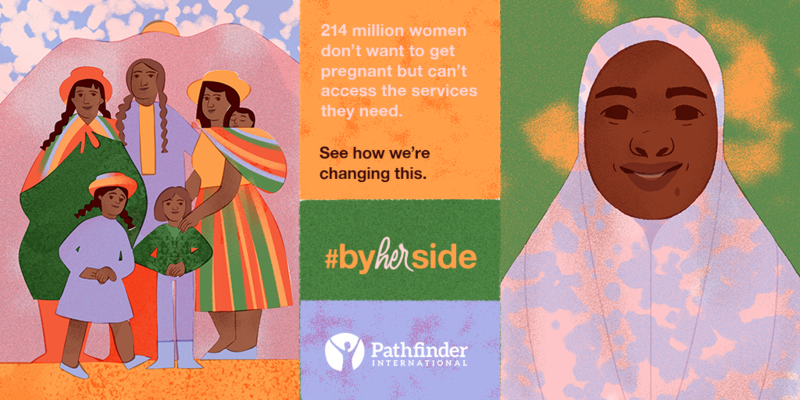 Do you know about @PathfinderInt's new #ByHerSide campaign? When a woman or girl has her community by her side, she has a brighter future. She can better advocate for her right to: pursue an education, build a livelihood, and decide whether and when she wants to marry or have children. We support her. We believe in her. We drive impact by supporting sexual and reproductive health and rights worldwide, improving maternal and newborn care, and empowering adolescents and youth. Taken together, our programs empower millions of women, men, and young people are able to choose their own paths forward.